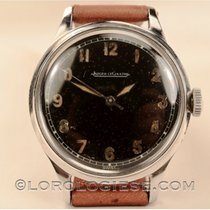 Jaeger-Lecoultre Vintage Military Watch. Circa 1940's. 32mm diameter case. 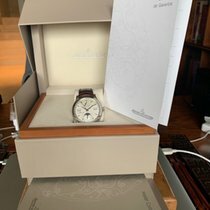 Hand wound movement. 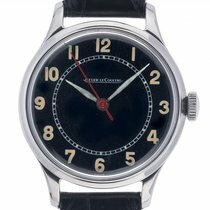 Chrome case featuring a black dial with Arabic hour markers and single sub dial. Plexi glass. Black leather strap with pin buckle.